Beautiful antique doorknobs, locks, strikes and hinges can give an older home an extra special touch. Perhaps you are restoring your home and you are looking for authentic pieces instead of reproductions or you have inherited an historic home from a relative. As beautiful as these antique locking mechanisms can be, the bottom line is that they have to be in working order; especially when it comes to your exterior doors. It is absolutely imperative that all of your hardware be in excellent working condition. Original mortise locks are 70 to 130 years old and commonly develop unique problems from poor maintenance, abuse, or general wear and tear. Wisconsin has a rich and unique history of lock design. Many of the locksets found in homes between 1880 and 1938 were custom made for individual residences. 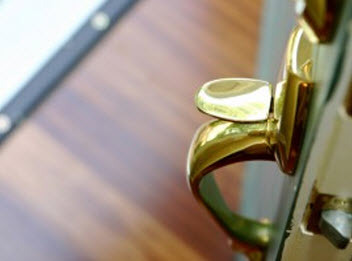 Some of the most beautiful and well-made locking mechanisms were made during this time frame which was known as the golden age of design and construction in America. Walk along almost any street with period houses and you will notice a wide variety of original locksets as unique in appearance as the styles of homes on the street. These older locking mechanisms or lock sets use old-fashioned keys that are quaint and pleasing to look at and give a certain mystery and an air of elegance to the room they are being used in. If you want to give an old-world feel to your home, then antique locking mechanisms are the way to go. If you find that your locks are non-working, call the professional locksmiths at Best Locksmiths. Best Locksmiths recommend several steps to get your locks in good working order. Locksmith Repair Estimate – First, contact your experienced residential locksmiths at Best Locksmiths for an estimate by phone and describe your lock set to a knowledgeable customer service professional. Make sure to describe the lock in detail along with the brand and physical appearance. The experts at Best Locksmiths recommend taking a photograph and emailing it to them to help them identify your lockset and determine if the type of locking mechanism you have can be repaired. Replacing Lost Keys – If you are using an antique lock, chances are you don’t have the original key. 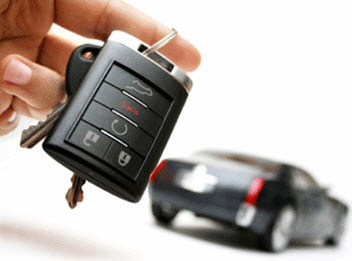 The professional locksmiths at Best Locksmith can create a new set of keys for your lock quickly and efficiently. One of the most common reasons for a lock to stop working is a broken key that is jammed inside the lock mechanism. Our knowledgeable locksmiths can remove any broken fragments and restore your lock to perfect working order. Repairing Locks VS Replacing – Is it worth repairing your antique locking mechanism? The answer depends on you and is partly dependent on the price of repair as opposed to the price of completely replacing your locks. Sometimes a repair can be as simple as a cleaning and oiling of the inner lock mechanism or a complete repair using parts sourced from other antique locks may be necessary. Some locks are highly collectible and worth a lot of money, but you should also consider the sentimental value of a priceless family heirloom. The skilled locksmiths at Best Locksmiths are available to answer your questions regarding repair of antique mortise locks, or any other locksets, locking mechanisms or keys. 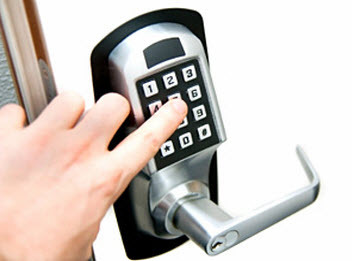 Call today to schedule an appointment for your next lock installation, repair or replacement. This is the time of year that many people travel and are out of their homes more often. Whether you are out shopping or you are out of town you want to be sure that you are not leaving your house open and susceptible to theft. Thieves are on the lookout for homes that are easy to get into and also will keep an eye on things that may tell them that the family is gone. Best Locksmith of Wisconsin Has Several Tips to Help Keep Your Home Safe and Secure This Holiday Traveling Season. Have The Right Types of Locks Installed Such as Deadbolts – This is really the best defense to keeping someone out of your house that you don’t want in. Make sure that you have good sturdy locks on the doors of your house. This includes the back door as well as the front door. You also want to make sure that you have a deadbolt to make it much harder for someone to get through the door if they do happen to try to get into your house. The right locks are the first step but you need to be sure that they are actually locked and installed correctly. Go through the house and lock all locks, deadbolts and window locks too. Leave a Few Lights on When Traveling Away From Home – Most people want to save money on energy usage while they are gone so they will turn off all the lights in the house while they are gone. If someone has been watching the house and knows that during the evening your lights are on inside the house or on the porch and then they aren’t, that is huge tell that you are not home. You want to choose a few lights to keep on while you are gone to give the illusion that you might be home. Don’t Post Your Adventure on Social Media Until You have Safely Returned Home – If you are planning a trip with the family this holiday season you should keep all the posting and sharing off of all social media. This will alert people that you are gone and the house has no one there to call the police in case of an intruder. As sad as it is, many times the burglary is done by someone that you know. Wait until the trip is over and you are back home to post about the trip you are now back from. If You Are Gone Often Think About Getting a Dog – This is a big commitment but a dog will deter someone from trying to get in. Most thieves do not want to deal with anything that could slow them down. A dog does that very well. Most dogs will alert to someone that is at the door especially if they don’t know them. Call Best Locksmith of Wisconsin to Inspect the Locks on your Home to See if They Are Strong Enough and Installed Correctly To Keep Your Home Safe and Secure in Racine, Kenosha, Oak Creek & Burlington Wisconsin. Have you ever gone out and went to lock your door only to find that it is stuck locked? You check to make sure you are using the right key and proceed to try again. The lock just won’t come un-stuck. The next step is to start to pull on the door to see if that will help. This may be due to the change in the weather outside. The extreme weather from Summer to Winter can affect your locks not only on your home but on your car as well. Depending in the type of weather there is, the effect on the locks will be different. Best Locksmiths goes over the different types of weather, what they can be doing to your locks and how to repair them. Summer Weather Effects on Your Locks: When it comes to the summer time you will notice that the temperature gets hotter and the sun is out longer. The other change is usually seen in the humidity. The humidity will make you feel warmer than the degrees outside suggest. The humidity also plays a part in what is effecting the door frame that the lock engages into. When the door frame swells from humidity the lock will get stuck in the locked or unlocked position. You may need to take the door and wiggle it back and forth to get it to start moving. You can continue to wiggle the door all summer long or you can call a professional locksmith that can come out and inspect the lock. They will be able to open the space on the door frame so that the lock will be able to engage more easily. Winter Weather Effects on Your Locks: The winter is the other season that you may notice problems with the locks both on your home and your vehicle. The cold weather does the exact opposite of the hot weather. The cold will start to shrink the door frames and possibly freeze the lock. The colder weather also means that there is less humidity and that is why you will notice the shrinkage. When you go to lock the door it may seem that the lock is not lining up with the door frame. This is especially difficult when talking about deadbolts. What you will have to do is pull on the door from the outside to get it into position. The winter is also when you will notice problems with your car locks. Many cars stay outside and when the temperatures get below freezing the lock can actually freeze. You can heat up the actual key and insert it in to melt what has frozen and then it should work. If you want to have your locks inspected this winter to make sure that you are not struggling with them, give Best Locksmiths a call today in Racine, Kenosha, Oak Creek & Burlington Wisconsin! Should I Hire a Professional to Rekey / Replace the Locks on my Burlington WI House or Try the DIY Lock Change Approach? If you have moved into a new home or apartment, one of the first things you should do is to get new locks for security. You cannot be sure who still has keys to the previous locks. The only way to be sure that you have the only set of keys is to replace all the locks or rekey them. Perhaps you may also have been the victim of a burglary and need to replace the locks because they have been broken into. Many times the locks themselves have been broken and will need to be replaced. One other reason that you might need to replace the locks on your home or apartment is if you happen to lose your keys. This is a scary moment when you can’t find your keys and you realize that you lost them or they have been stolen from you. Whatever the reason for changing out the locks on your house, you need to do it quickly to ensure that your home remains secured. Installing your own locks seems easy enough. The actual installation of the locks is mostly straight forward and can be done with tools that most people have at their homes already. The problem is that you are going to come across tons of types of locks that will fit specifically in certain door set ups. You also have to consider the door that you have before you start the installation. The door can be set up for a type of lock that uses only two holes or cut outs or it could need a three. When you go to the store to pick up the lock that you are going to use to replace the old one, you need to know what you are looking for. What if when you are finished the door doesn’t close or line up properly; a professional like Best Locksmiths knows what to do! When you hire a professional to come out and replace the locks on your home or apartment, they will be able to establish what kind of lock set that you need and give some options to choose from. They can also be sure that all the locks are installed correctly which means that your home will be secure. If you do not install the locks correctly they might not be able to engage all the way and that makes them easier to get into. If you are in need of replacing all the locks in your home or apartment, you should give us a call today to be sure that you have your locks installed correctly.